"We are finally an 'adult' company", laughs Maryluz Naranjo of Naranjo. 18 years ago, she established the company, and yesterday evening they celebrated this anniversary with the presentation of their new brand image. After a brief history of this Ecuadorian rose farm, that was presented by Maryluz and her husband Carlos Gomez - who joined the company in 2005 - the second generation took the floor. Daughter Laura, who designed the logo, explained the story behind it. “It consists of three parts. Firstly, the circle represents the women in the company who are so important to us, as well as of course the founder of the company, my mom. The spiral involves innovation, growth and evaluation. And thirdly, the leaf stands for the freshness of the product." 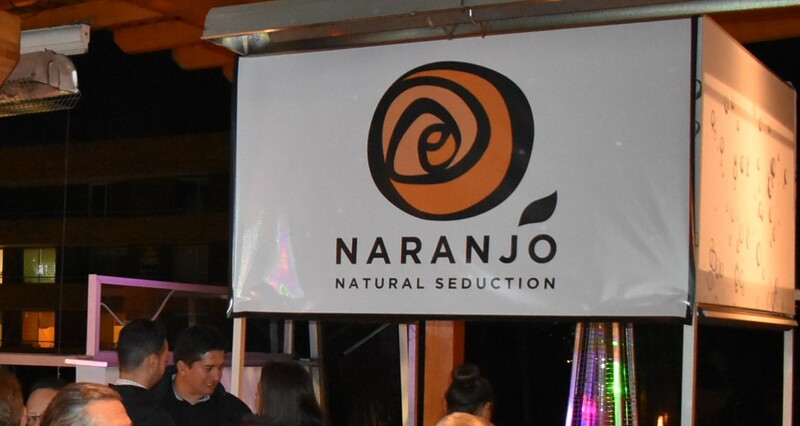 Naranjo currently consists of 3 farms, growing 100 varieties of roses on 50 ha in total. They export to 50 countries all over the world. Maryluz Naranjo with her first customer Santiago Garcia. He has been buying flowers from Naranjo for 18 years now. Before the official presentation of the new brand image, a little dance performance was given. At the Expo Flor Ecuador, their stand already presents the new brand image. On the picture Daniel Gomez.